Grip & Teethe Keys Toy is rated 1.0 out of 5 by 5. Dimension (in) 4.65" x 3" x 3.85"
Rated 1 out of 5 by Chantel from Cannot Sanitize My daughter never used this toy. I tried to sanitize in boiling water as I do all of her toys, abdbit melted. It stuck to the other toys I had in the pot, effectively ruining them as well. 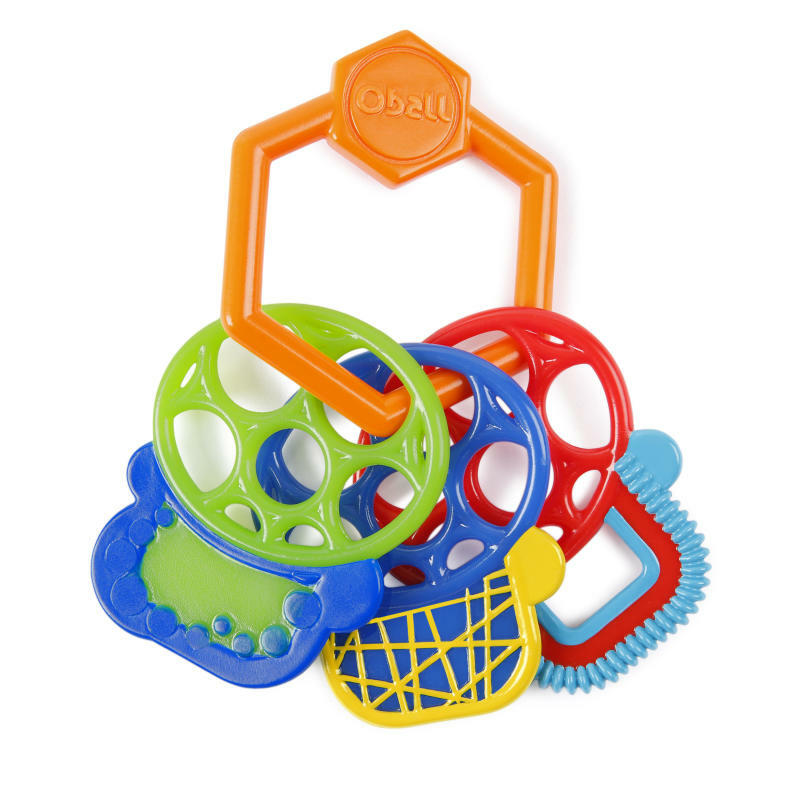 Why make a teether that can't be properly cleaned? Rated 1 out of 5 by Momma in HI from Cannot Sanitize As with all products I allow my son to put in his mouth, I sanitize them. Unfortunately, when I tried to sanitize this (along with other oball products), it is the melted (the other products were fine). Rated 1 out of 5 by LockeyLady from Melted Bought this for my 3 month old daughter. Rinsed and sanitized it only to have it melt instantly, got zero play time out of it... A teething toy should be able to be sanitized. Not impressed. Rated 1 out of 5 by Kernal from Cleaninng ist Not possible I bought it today and wanted to make it germ free with hot water. The plastic is melted.